Before starting his own business, Tom began his career with a large international CPA firm. He enhanced his skills when he joined the tax department of a Fortune 500 corporation. 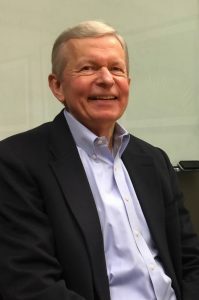 As his career advanced, he gained valuable tax and business knowledge and accepted a position managing the tax department of a local CPA firm. Years later, he and several partners joined forces and purchased a local firm. Now as a sole business owner he draws on these experiences to guide and advise clients on strategic planning and business decisions. With extensive tax and accounting expertise, he serves on the advisory board for Oregon’s Office of Economic Analysis. As an active member of the Oregon Society of Certified Public Accountants, he is on its tax committee and is a past president. He is also a member of the American Institute of Certified Public Accountants (AICPA) and served on its Council. He is a member of both the AICPA’s tax section and personal financial planning section, which offer him additional advisory resources. He received a Bachelor of Science in business administration and economics from Portland State College and is licensed to practice accounting in the State of Oregon. When he is not advising, problem-solving, or negotiating, Tom likes to spend time with his family. He enjoys new challenges and is learning to play the piano.